Next in our list of The Top Ten gifts for Tech Heads this Christmas is something not necessarily associated with a Techie but things still need to get done around the house and men will always be men! Does the Techie in your life think he can fix things just as well as programme on a computer but really can’t why not give him a present that will really help with the D.I.Y issues around the house? This Gadget for a D.I.Yer is what apps are to the iphone; 1 completely compliments the other. This gadget will offer all the tools needed to perform simple DIY tasks around the house and some other tools to help jobs of a slightly more advanced level these tools he may not understand and won’t admit but the true Techie relishes in discovering new things and mastering them! 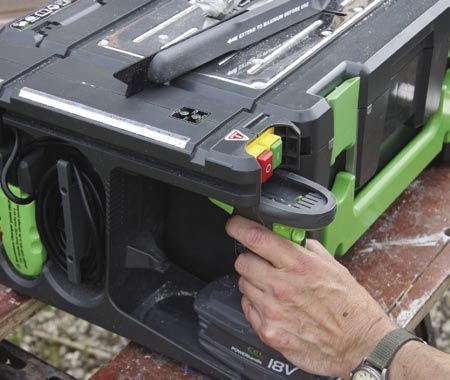 Some of these top brand items alone cost more than the entire toolbox but together but don’t be suspicious of the low price tag the toolbox was featured in Channel 4’s Gadget man and received high reviews from professionals in the construction industry. 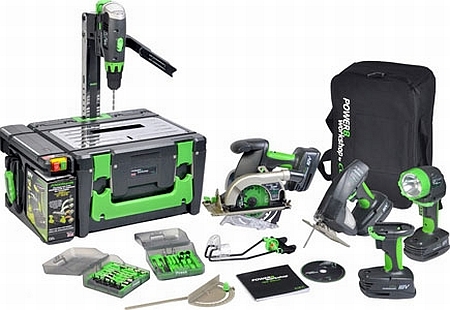 These tools are perfect for D.I.Y and the box itself has many features, like a transformer this box morphs into a variety of useful positions, a table saw, scroll saw, or drill press the features of this gadget will without doubt help to do a better job than previously. This is without doubt a must have for anybody to have in their shed and it will give the confidence to attack those d.i.Y jobs around the house, if you don’t have you T.V mounted to the wall yet expect them all to be; come mid-January. The following item can be found at http://www.mactrading.ie, Donedeal and adverts.ie in the Cork area. We at Granite Digital are not affiliated with any of the above websites and our blog is for informational purposes only. But thanks for your enquiry Sean and we hope we helped you find a perfect Christmas gift.